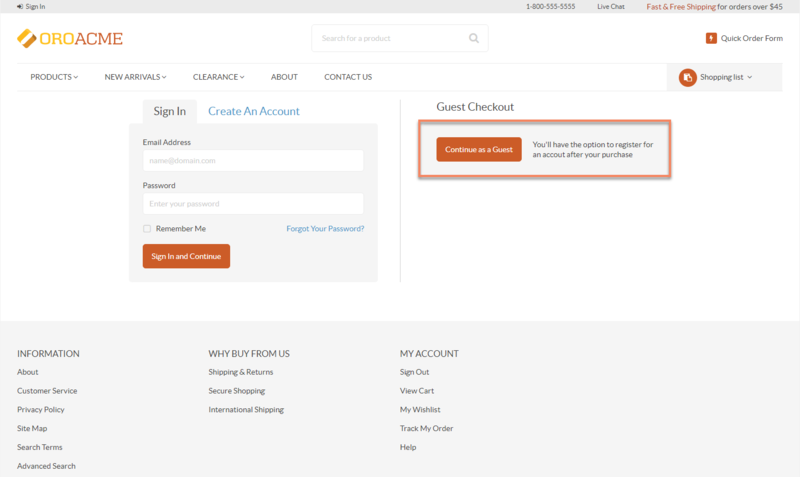 As an illustration, let us follow the steps of the checkout as an unauthenticated user. 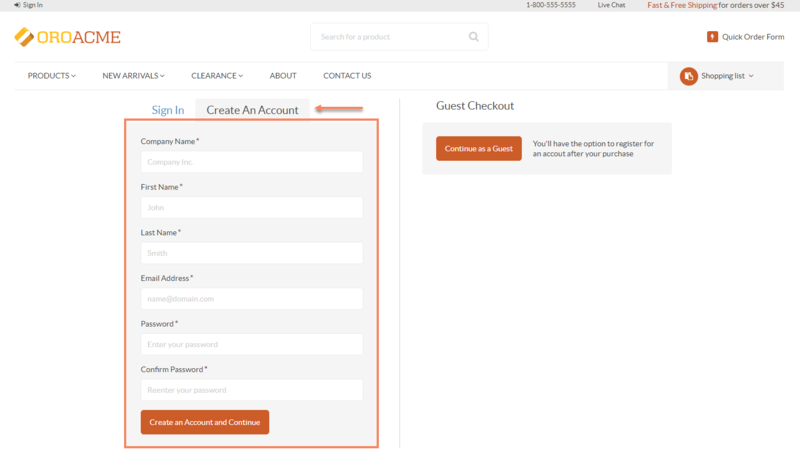 The following example has registration options available at the checkout. However, please keep in mind, that your website configuration may be different and registration options may be unavailable. Add selected items to the shopping list. 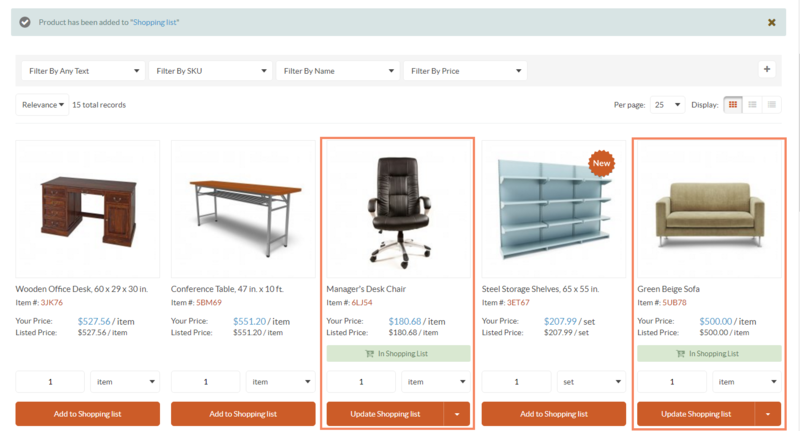 Navigate to Shopping List on the top right of the page, and click View Details. 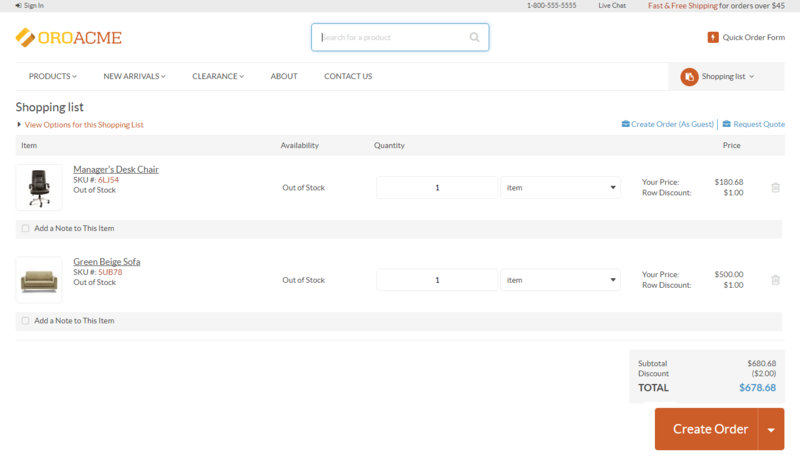 Click Create Order at the bottom of the shopping list page. Click Continue as a Guest. You will have another chance to register during order review. 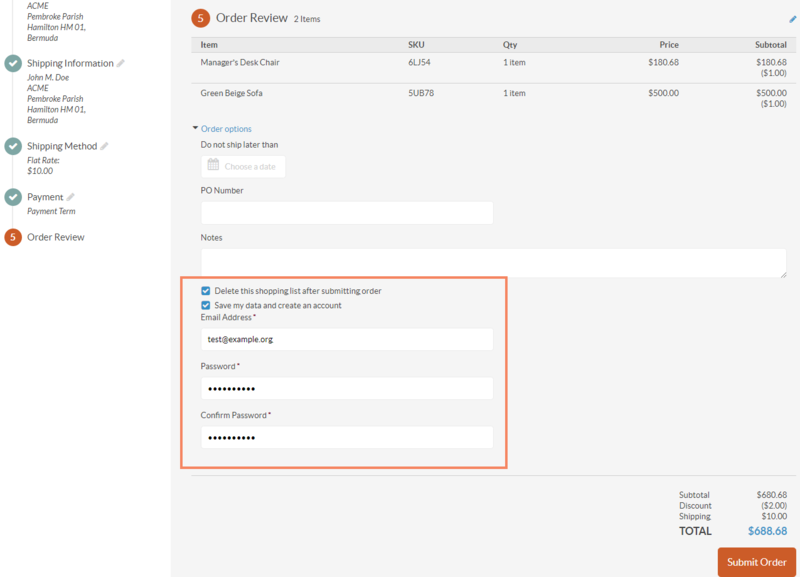 Fill in the billing and shipping information, as well as select the shipping method and provide payment details. Delete this shopping list after submitting the order. Save my data and create an account. To complete registration, open your mailbox and check the registration confirmation email.